Less than two years into his role as Complectus CEO and just over a week since the firm’s aborted sale to prospective Australian buyers, Grant Kemble, has exited the business. A Complectus spokesperson confirmed last Friday that Kemble, hired from legal firm Russell McVeagh in August 2015, “has left the company” with company founder, Andrew Barnes, returning to his former hands-on role. “As the recent sale did not complete Andrew Barnes has once again resumed the executive responsibilities which he had prior to Grant Kemble joining the company,” the spokesperson said. Late in June Complectus revealed a $200 million takeover offer from Australian-based Sargon Capital had imploded with last-minute technical niggles rumoured to have scuttled the deal. It is understood legal arguments between Sargon, which operates superannuation administration firm Trustee Partners in Australia, and Complectus were continuing. However, Kemble’s exit has come as something of a surprise. 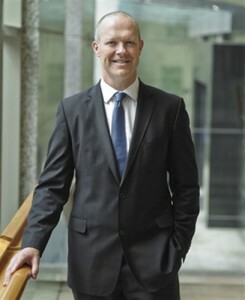 As recently as June 13, he featured in a NZ Herald story on executive succession planning. Kemble ended a more than 20-year stellar career with Russell McVeagh in 2015, where he made partner in 1998 and served a short stint as board chair, to take head Complectus. Kemble had previously been involved in an advisory capacity with Complectus as the business completed an ambitious buy-out campaign, eventually scooping up four NZ trustee companies: Perpetual, Guardian, Covenant, and Foundation. Following his 2015 appointment he said: “Andrew [Barnes] is an innovator and entrepreneur who has a clear and progressive vision for the fiduciary sector in New Zealand, and is leading change of a kind we have not seen before. Complectus, which is ultimately owned by the Barnes-controlled Bath Street Capital, features former Tower NZ boss, Rob Flanagan, as board chair. As well as Flanagan, who also chairs the Financial Services Council, the Complectus board includes another former Tower senior executive, James Douglas, and Barnes.